Retractable ribbon leash extends up to 200 inch. Ensure that you could walk with full control of your dog with instant retraction of the leash when required and give your dogs more freedom to wander, sniff, and poke around. 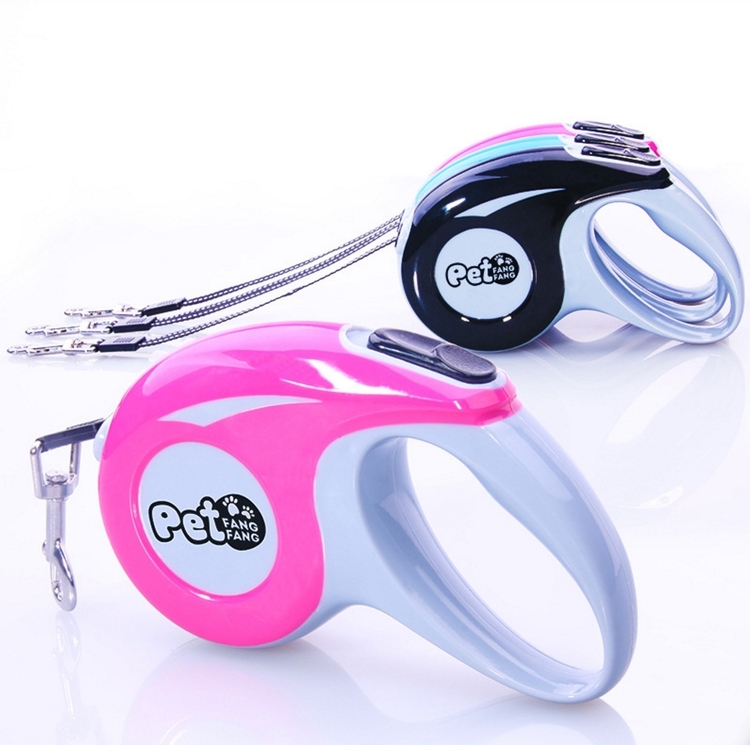 The pet leash is made of Eco-friendly material nylon. ABS plastic casing is friendly to environment, non-toxic and odorless. 5 9/10" x 4 3/10"
Package: 1 pc/box, 108 pcs/ctn, 62 lbs/ctn. Imprint Size: 1 4/5" x 1 4/5"